Audi has revealed new updates to the A3 line today. Subtle exterior and interior upgrades include high-gloss black single-frame grille element, painted B-posts trims, chrome struts on lower air inlets and aerodynamically optimized exterior mirrors. At the rear, all A3 versions have a new diffuser insert with eye-catching separating edge, and the rear lights are tinted on the three-door version. Also look for 7 new paint finishes along with a host of new wheel designs. Full details and photo gallery after the jump. Refined style, agile driving fun and elaborate technology – the Audi A3, the A3 Sportback, the A3 Cabriolet and the S3 are the sporty models in the compact segment. Audi now displays its premium character even more explicitly through new attentive details on both the exterior and the interior. The sporty elegance of the A3 models is already perfectly expressed in their design; their harmonious styling now acquires a host of new, exclusive touches. 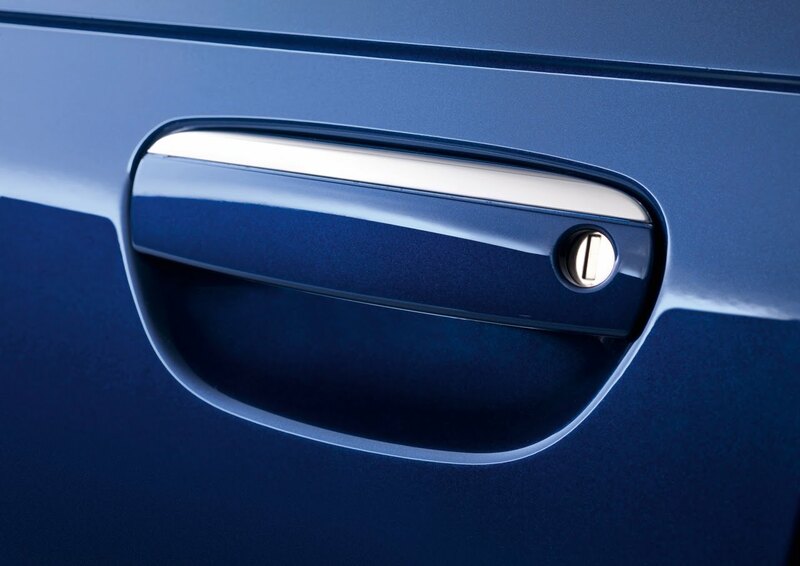 The single-frame grille element and the trims on the B-posts are painted in high-gloss black, the lower air inlets have chrome struts, the exterior mirrors are aerodynamically optimized and there are chrome strips in the door handles (except on the S3). At the rear, all A3 versions have a new diffuser insert with eye-catching separating edge, and the rear lights are tinted on the three-door version. The paint finishes Volcano Red, Dakota Gray, Amethyst Gray and Scuba Blue are also new. There is a new wheel design for the sporty Ambition equipment line. The wheels available as options also extend the range. There is now a high-gloss 17-inch wheel in ten-spoke design, and two other new wheels are also available from quattro GmbH: a 17-inch aluminum wheel in a five twin-spoke design and an 18-inch wheel in five-arm rotor design. The interior of the A3 models is likewise even more exclusive. The key features are dials with a gray background, a flat-bottomed leather sports steering wheel complete with trim ring, a new selector lever for the S tronic, black rings on the air vents and a high-gloss trim for the optional navigation system plus. There are gleaming aluminum-look trim inserts on the center console, mirror adjuster switch and window lifter buttons. The engine range for the Audi A3 and A3 Sportback is very extensive – it comprises nine power units, five of them gasoline and four diesel. 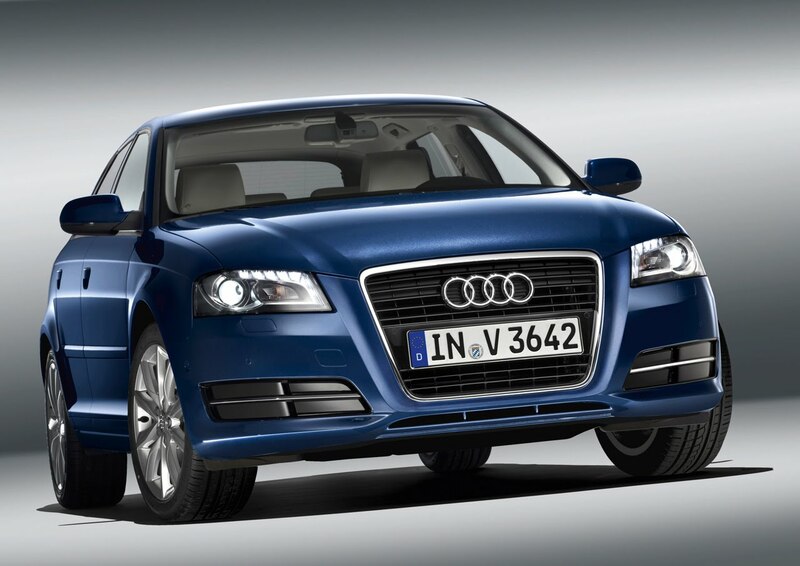 All are cutting-edge turbocharged four-cylinder direct-injection units badged as TFSI and TDI. 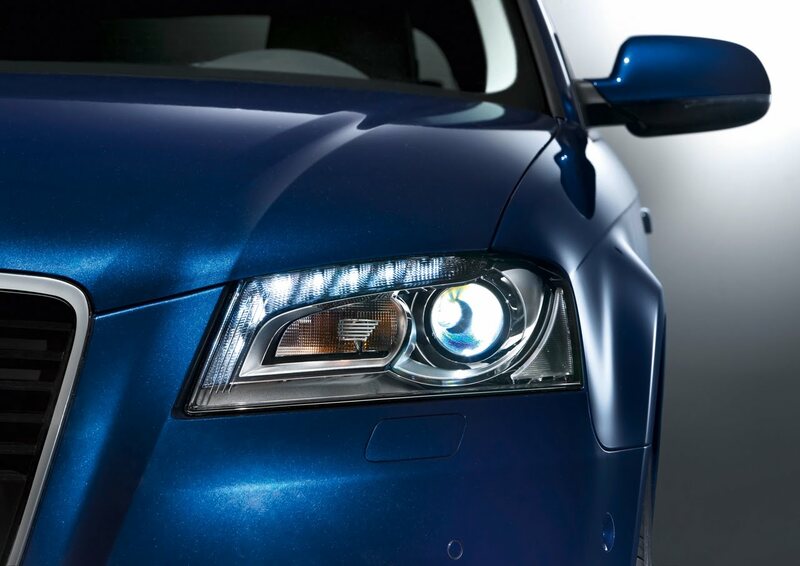 They encapsulate all the strengths of Audi engine technology – performance, refinement, high torque and efficiency. Five of the nine engines also feature in the new A3 Cabriolet, with the most powerful version reserved for the dynamic S3 and S3 Sportback – the 2.0 TFSI developing 195 kW (265 hp). The entry-level gasoline version is the 1.2 TFSI; it is a prime example of the merits of Audi’s downsizing strategy – prioritizing supercharging ahead of displacement. This four-cylinder power unit develops an ample 77 kW (105 hp) from a swept volume of 1,197 cm3 and generates a hefty 175 Nm of torque (129.07 lb-ft), yet averages just 5.5 liters of fuel per 100 km (42.77 US mpg). 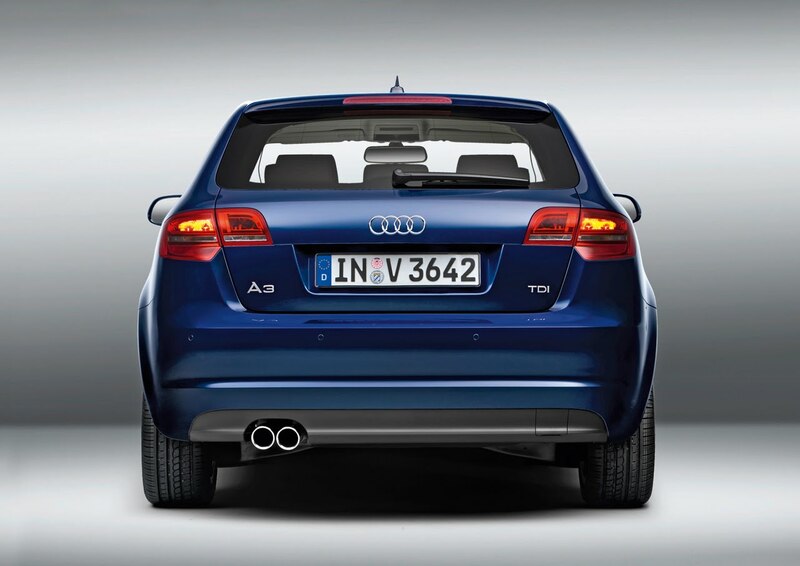 The most powerful spark ignition engine for the A3 and A3 Sportback is the 2.0 TFSI with an output of 147 kW (200 hp). 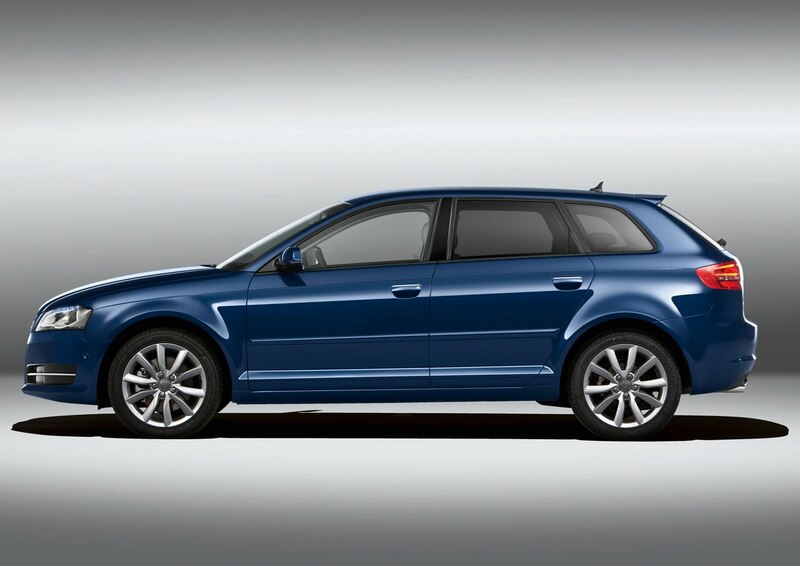 It is trumped only by the 2.0 TFSI on 195 kW (265 hp), which is reserved exclusively for the S3 versions. The TDI range extends from the 1.6 TDI developing 66 kW (90 hp) to the 2.0 TDI, with an output of 125 kW (170 hp). The most efficient engine version in the car line – and one of the most efficient compact models on the market – is the A3 1.6 TDI developing 77 kW (105 hp) and 250 Nm (184.39 lb-ft) of torque. It is available in three different versions, the most economical of which is an A3 three-door version averaging 3.8 liters of fuel per 100 km (61.90 US mpg). In-detail modifications to the body and running gear contribute towards this excellent figure, which equates to CO2 emissions of just 99 grams per km (159.33 g/mile). Audi fits a start-stop system including energy recovery on five engines in the three-door A3 and the Sportback – the 1.2 TFSI, the 1.4 TFSI, the 1.6 TDI developing 77 kW (105 hp), and the two 2.0 TDI versions with outputs of 103 kW and 125 kW (140 hp and 170 hp). In a new departure for compact cars, it is irrelevant whether a manual transmission or the S tronic dual-clutch transmission is fitted. It proves a big advantage in city traffic – it deactivates the engine while stationary and restarts it when the clutch is pressed or, on S tronic versions, the brake pedal released. An energy recovery system that captures the energy released during braking is a standard feature of the 1.6 TDI with 66 kW (90 hp) engine and the 1.8 TFSI. The range of transmission technologies is equally very diverse. 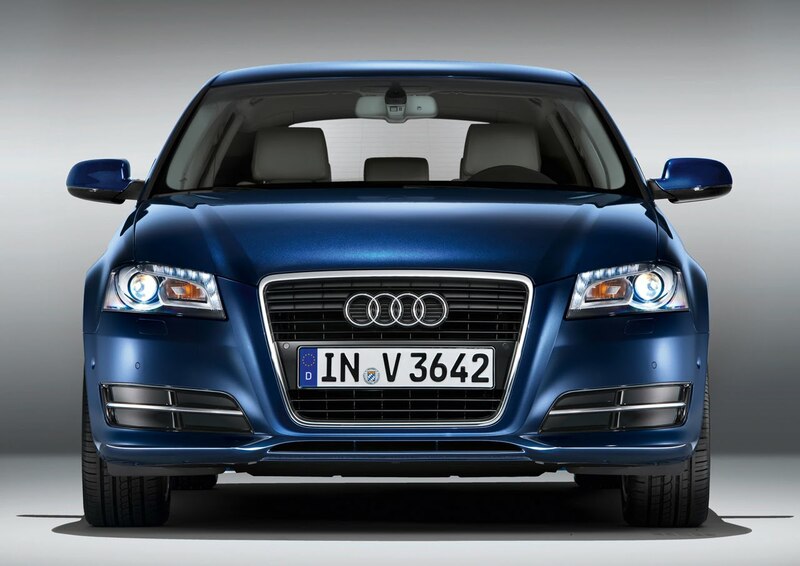 Most engines in the A3 car line come with six-speed manual transmission as standard; Audi can also supply the lightning-fast, extremely convenient S tronic in conjunction with many of its engines. It is fitted as standard with steering wheel shift paddles on the Ambition equipment line and S3. Depending on engine version, the dual-clutch transmission has six or seven speeds. The seven-speed version operates with dry clutches; the absence of an oil supply improves the transmission’s efficiency yet further. The option of power transmission to all four wheels likewise underscores the exceptional position that the Audi A3 enjoys in the premium compact class. Audi supplies quattro permanent all-wheel drive for four engine versions. The Cabriolet is the exception; on the other hand, quattro drive is standard on the S3 and S3 Sportback. Its electronic-control multi-plate clutch, mounted on the rear axle for a balanced weight distribution, apportions most of the engine’s power to the front wheels in normal driving conditions. If need be, it diverts drive torque swiftly and adaptably to the rear wheels. The running gear of the A3 car line combines a sporty character with superb safety and high comfort. Its precision and poise stem from technically elaborate solutions such as four-link rear suspension, which handles longitudinal and transverse forces independently, and the electromechanical power steering, which is as responsive as it is efficient. On all versions with front-wheel drive, the ESP electronic stabilization program incorporates an electronic differential lock. When close to the limits of handling on bends, this intelligent software solution manages how the drive torque is distributed among the wheels by small, barely detectable brake applications. These suppress any understeering, improve traction and further enhance driving safety. For the engines developing 103 kW (140 hp) and upwards, except on the Cabriolet, Audi supplies the adaptive damper control system Audi magnetic ride, which exploits the properties of an electromagnetic fluid. The dampers can be set for a comfortable or sporty characteristic. Within the parameters, the system adjusts the damping forces in milliseconds depending on the road conditions and the driver's style. The body sits 15 millimeters (0.59 in) lower with this system. 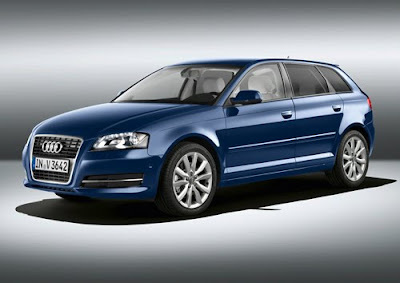 There are also the options of conventional sports suspension and the supple S line sports suspension from quattro GmbH. 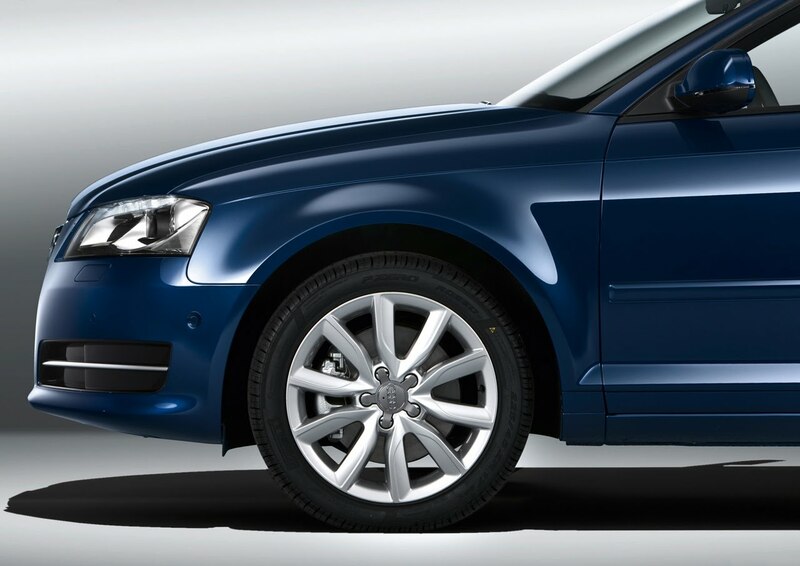 The S3 comes complete with specially tuned 25 mm (0.98 in) lower S sports suspension. 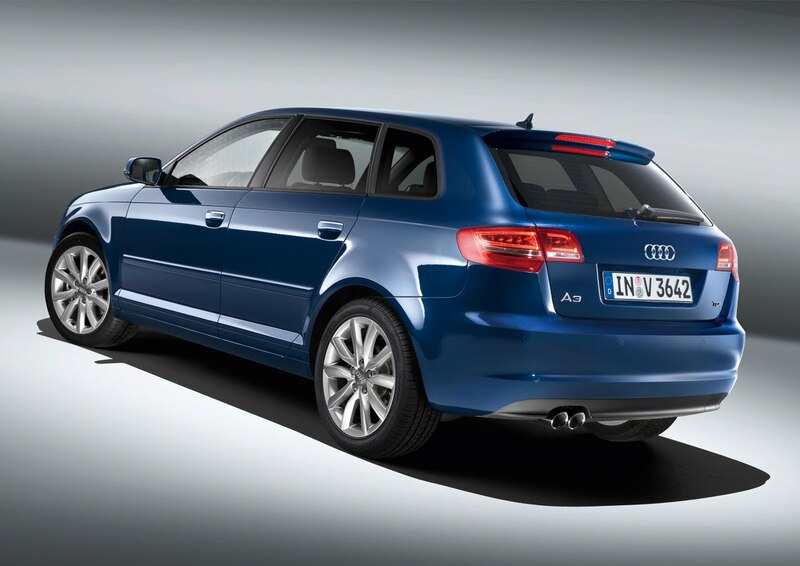 The improved models in the A3 family will be arriving at dealers in the early summer. Their extensive range of high-end options demonstrates their high technological caliber. These include the dynamic cornering light system adaptive light for the xenon plus headlamps, the high-beam assistant and the navigation system plus with MMI operating logic. It calculates routes particularly fast, has a higher resolution and features three-dimensional map graphics. The parking assistant is another very attractive feature. When driving at slow speeds (up to 30 km/h, 18.64 miles) its ultrasound sensors scan the parking spaces parallel with the road; when it detects one that is large enough to reverse into, it then indicates this in the instrument cluster. All the driver need do is engage reverse and operate the accelerator, clutch and brakes – the car maneuvers independently and precisely into the space.